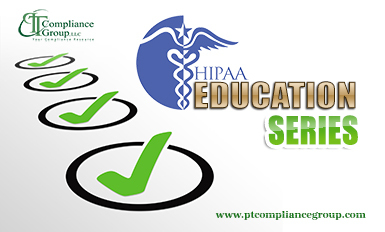 PTCG is excited to offer our newest webinar bundle, HIPAA Education Series. Since March 2016, the Office of Civil Rights (OCR) has been publishing Phase II Audit guidance at an alarming pace. We now know what elements are the focus of the Desktop audits. Although the Phase II Audit Protocol comprises of 180 elements, OCR has a laser focus on 7 elements. This webinar series is designed to assist covered entities in assessing and implementation processes which are OCR’s primary focus in regards to Breach Notification and Privacy. This series will include 5 hours of HIPAA specific training focusing on individual rights as they relate to HIPAA Privacy and breach notifications. Individual webinars can be purchased or the series can be purchased at a 10% discount. What is Included in this Webinar Series? Support compliance with OCR Phase II HIPAA desktop audits. What the Individual Rights are under the HIPAA Privacy Rule. What forms/processes are required to be in place and maintained. How to conduct a Breach Risk Assessment Investigation (BRA) utilizing Low Probability of Compromise? BRA examples will be reviewed and analyzed with participants acting as the Privacy Officer. How to maintain and report to OCR all BRAs. How to analyze and centralize your medical record request/releasing process. Participants will be provided several “operational process outlines” to personalize to your practice. Can't Make the Live Viewing? No problem! You will receive the recording along with handouts. No need to take time out of your busy schedule. You can always purchase each webinar individually, but your best savings is purchasing the series below. HIPAA Education: What are my Patient’s Individual Rights under HIPAA?